ZTE today launches two new innovative Firefox OS phones in the ZTE Open series with the Open C and Open II, and expects to ship over one million Firefox OS phones before the end of 2014. This furthers ZTE’s strong relationship with Mozilla that started with the first ZTE Open which was launched at Mobile World Congress in 2013. The Open C is one of the first devices to operate on the latest version of Firefox OS and is designed to deliver a better user experience and a higher cost-performance ratio. As part of Telefónica’s long-term cooperation with ZTE, the Open C will be initially launched with Telefónica in Venezuela and Uruguay during the second quarter of 2014. Also running the latest version of Firefox OS, the Open II is the evolution of the popular ZTE Open, which was launched in 2013 in six countries by Telefónica as well as being sold through eBay in the US and UK markets. Marrying exquisite design with the open-source, Web-based Firefox OS, the Open II provides users with a fantastic experience and a highly affordable price. “ZTE was one of Mozilla’s first partners to launch a Firefox OS phone, the ZTE Open, and we have worked closely together to continue advancing the new platform. The ZTE Open C and Open II are the latest examples of how Firefox OS has evolved to bringpowerful open Web technologies to the smartphone,” said Dr. Li Gong, Mozilla’s Senior Vice President of Mobile Devices and President of Asia Operations. Firefox OS is an open-source, Web-based operating system and offers a fresh and simple UI with a full range of features and apps, including camera, dialer, SMS and games created using HTML5 technologies. Web apps are not resource intensive, so users can enjoy higher performance at a more affordable price. The Open C supports bi-directional contact sync and linking as well as Firefox OS’s unique adaptive apps search function which allows users to search for content faster by using the search box at the top of the main home screen. The Open C delivers superior performance with integrated connectivity as it is powered by a Qualcomm® Snapdragon™ 200 processor with dual-core CPUs at speeds of up to 1.2 GHz per core from Qualcomm Technologies, Inc. As Firefox OS consumes fewer resources, the 1400 mAh battery on the Open C lasts for at least six to eight hours, even when watching videos or listening to music for a long time. The Open C allows people to express their personalities in six colours: dark blue, light blue, turquoise, red, white and orange. ZTE has great confidence in the prospect of Firefox OS mobile phones. As part of ZTE’s long-term consumer-centric strategy, ZTE plans to update all series of Firefox OS phones from the low to high end. Following the launches of the Open C and dual-core Open II, ZTE also plans to release a 4.5-inch Firefox OS smartphone by 2015. 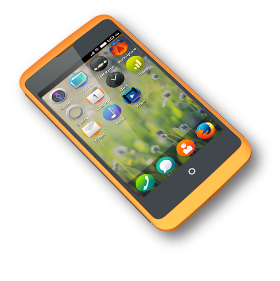 Firefox OS smartphones are key to ZTE’s growth in Europe and Latin America, as they enable it to better target the entry-level smartphone market, providing an alternative for consumers who have few proven and affordable options. The ZTE Open, launched at Mobile World Congress in 2013, was brought to market with Telefónica in Spain, Venezuela, Colombia, Peru, Mexico and Uruguay. It was later sold in the US and UK via eBay, initially selling out in just three days. In addition to eBay, ZTE will also cooperate with additional e-commerce platforms for both the Open C and Open II. “Our first Firefox OS phone, the ZTE Open, proved hugely popular and we are excited to bring even more innovative Firefox OS products to market, starting with the ZTE Open C and Open II. We have huge confidence in the Firefox OS platform and expect to deliver more than one million Firefox OS phones this year alone,” ended Mr. Kan Yulun.